Defense Secretary Chuck Hagel said on Tuesday that the Pentagon was going to send Congress a “large reprogramming request” to help offset some of the shortfalls caused by across-the-board budget cuts from sequestration. 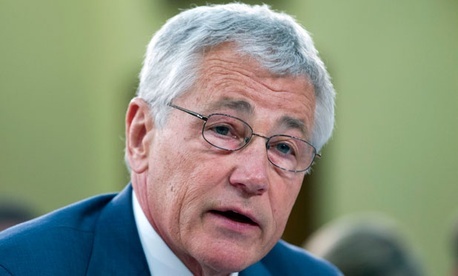 During a House Defense Appropriations Subcommittee hearing on President Obama’s fiscal 2014 budget request, Hagel said the Pentagon “is going to need the help of Congress” to help manage the issues caused by sequestration. He said the reprogramming would allow the Defense Department to shift some money around, but would be “limited by ceilings on transfer authority.” He did not specify the amount of the request. Rep. Tom Cole, R-Okla., asked Hagel why 180,000 Defense civilians paid through working capital funds were being furloughed at the same rate as civilians paid through money appropriated by Congress. Hagel noted the many furlough exceptions -- including health and safety positions -- but said Defense was implementing cuts across-the-board, keeping fairness in mind. The size of Defense’s civilian workforce in fiscal 2014 and beyond was also a major issue during the hearing. Several lawmakers, including Reps. Ken Calvert, R-Calif., and Jack Kingston, R-Ga., questioned why the civilian workforce was not shrinking as quickly as the military force. Pentagon Comptroller Robert Hale said Defense was gearing up to reduce the civilian workforce by 5 percent to 6 percent between fiscal 2013 and 2018. He noted further cuts would have to occur alongside reductions in Defense’s infrastructure through a round of the Base Realignment and Closure Commission. “We have worked hard to restructure our civilian workforce,” Hale said. The military is also facing a $22 billion shortfall in its operation and maintenance budget, Hagel said. He cited the military’s higher operating tempos, and greater than anticipated transportation costs in Afghanistan. To help cope with these budget constraints, Hagel said the department had reduced official travel, cut back on facilities maintenance and implemented hiring freezes. “Readiness is our key responsibility, and everything has to revolve around that,” Hagel said.